The perceived potential of clean energy to support employment in the post-crisis recovery context has led several OECD and emerging economies to design green industrial policies aimed at protecting domestic manufacturers, notably through local-content requirements (LCRs). These typically require solar or wind developers to source a specific share of jobs, components or costs locally. 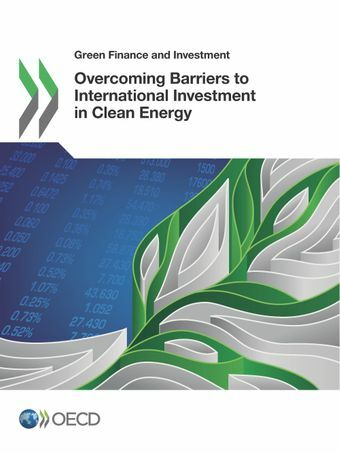 Such requirements have been designed or implemented in the solar- and wind-energy sectors in at least 21 countries, including 16 OECD countries and emerging economies, mostly since 2009.Empirical evidence gathered in this report shows however that LCRs have actually hindered international investment across the solar PV and wind-energy value chains, by increasing the cost of inputs for downstream activities. This report also takes stock of other measures that can restrict international investment in solar PV and wind energy, such as trade remedies and technical barriers. This report provides policy makers with evidence-based analysis to guide their decisions in designing clean-energy support policies.